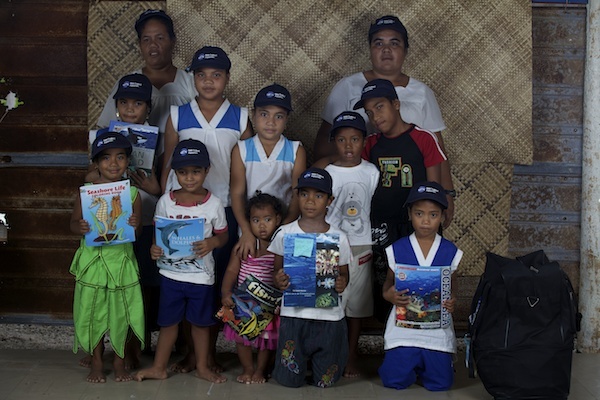 A while back, we posted photos of the Kanton school children holding the school supplies sent by Emily Mead, an Aquarium volunteer and recent Weston graduate. The students have now returned the favor! 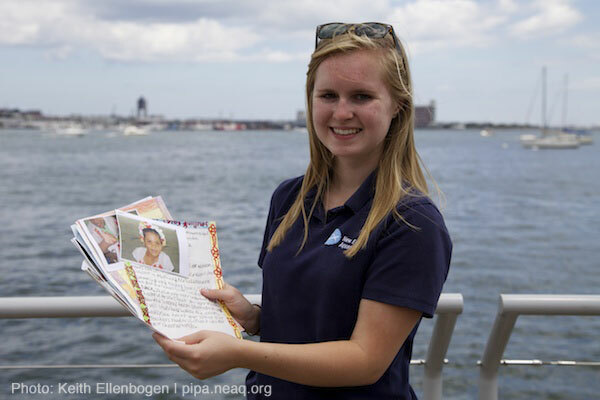 Emily Mead with the Boston Harbor in the background, holding letters from the Kanton residents. 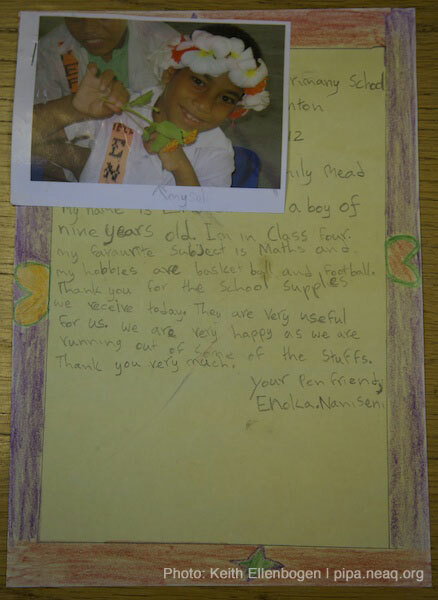 Kanton schoolchildren, holding supplies and letters from Emily Mead. 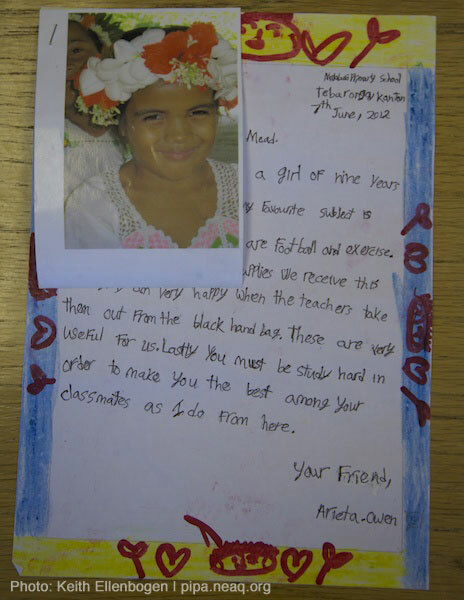 This relationship has been going back and forth for years; Emily sent supplies on the 2009 expedition as well. It may seem like a long time between letters (3 years! ), but the delay and the remoteness haven't changed the fondness between Emily and the group. The faces of Kanton! Bwena Owen, 11 years old. Arieta Owen, 9 years old. 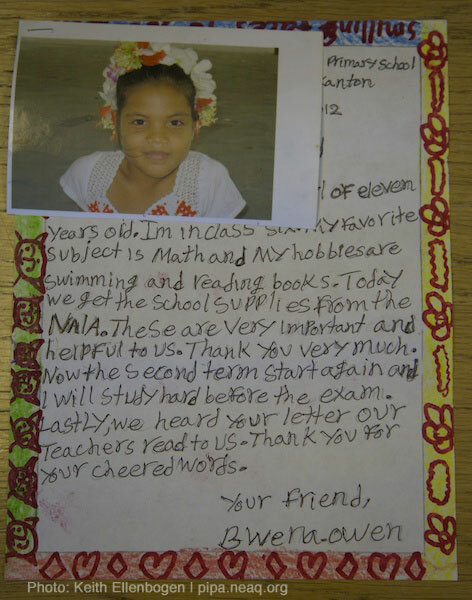 Enoka Naniseni, 9 years old.